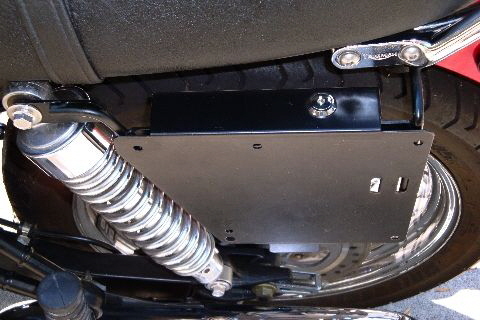 Now, a simple and effective way to add luggage support to the Triumph OEM accessory mounting rail. Versatile and easy to attach they are designed for heavier luggage and as a platform for our Quick Mount. 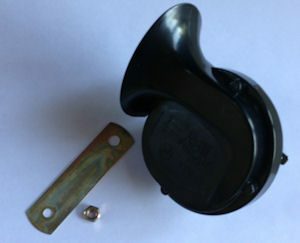 Triumph accessory owners can now mount and remove luggage with the turn of a key! 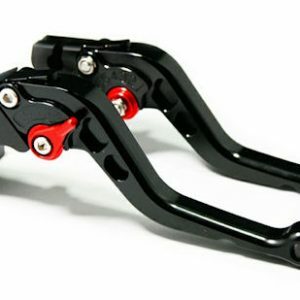 Mounts with either the Triumph Grab Rail or Sissy Bar or all by itself!. 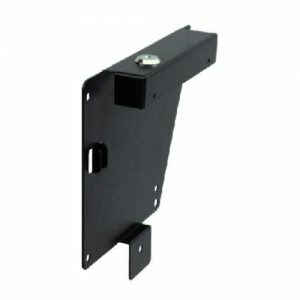 The crossbar design allows Quick Mounts to be easily attached. Securely maintains ample clearance for luggage from rear wheel and chain. 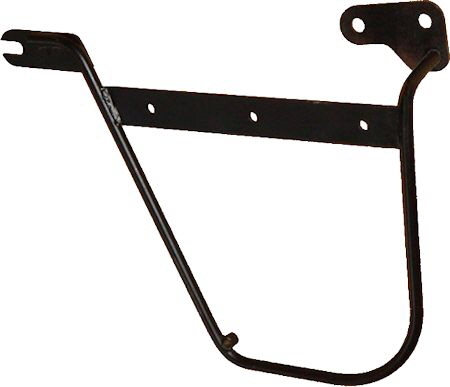 Solid 5/16″ (8mm) steel construction supports and protects your luggage. 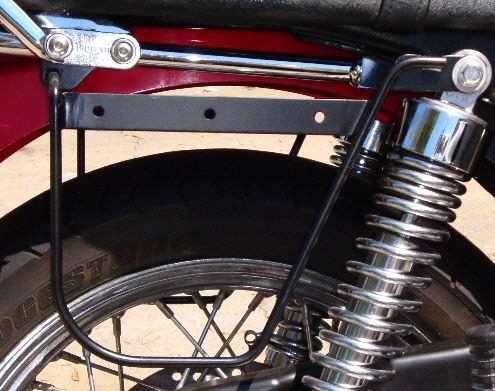 NOTE – The Luggage Brackets TR will NOT work with any other MC Resources Parts (other than Quick Mounts). Triumph OEM Accessory Rail is required.